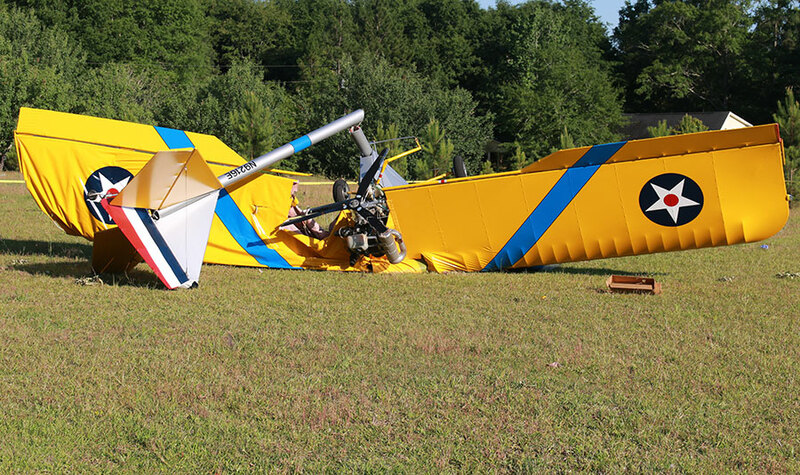 On May 11, 2018, about 1203 central daylight time, an experimental amateur-built Kolb Firestar 2 airplane, N9216E, was substantially damaged when it impacted terrain under unknown circumstances near Atmore, Alabama. 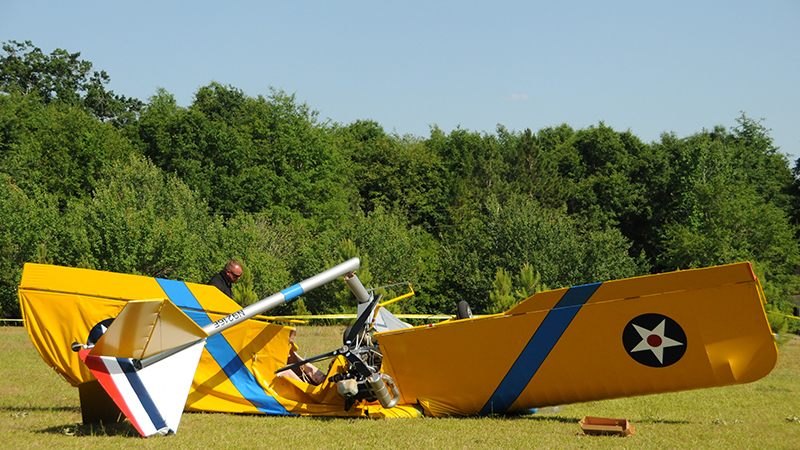 The pilot received serious injuries. The airplane was registered to and operated by the pilot under the provisions of Title 14 Code of Federal Regulations Part 91 as a personal flight. Visual meteorological conditions prevailed. According to Federal Aviation Administration (FAA) records, the airplane was registered to the pilot about a year before the accident, but he was not the builder of the airplane. The airplane was equipped with a Rotax 503 series engine mounted in an overwing pusher configuration. 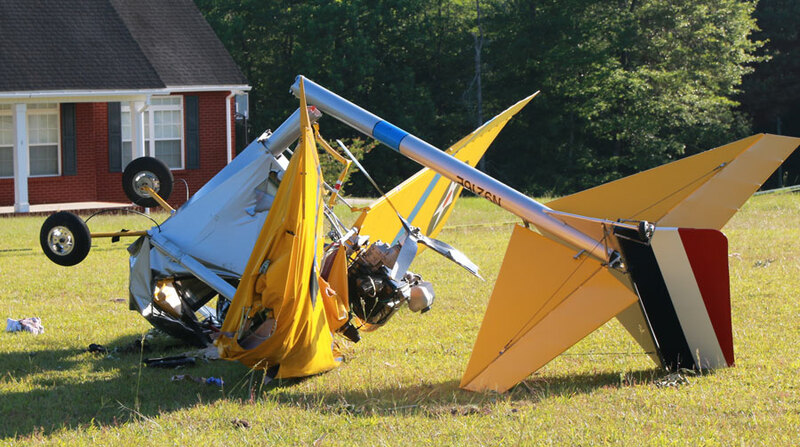 According to one of the two FAA inspectors who responded to the accident, the airplane came to rest inverted on the lawn of a private residence, and the tail boom and right wing were substantially damaged. The inspectors conducted a limited examination of the airplane, and did not observe any pre-impact damage. They noted that the fuel tank was approximately ¾ full, and that there was fuel in the bowl of each of the two carburetors. They removed the exhaust manifold from the engine to examine the pistons and cylinders, and again did not observe any pre-impact damage. The inspectors recovered a Go-Pro camera that was attached to the airplane, and reviewed the camera's image files. The most recent file in the camera's memory depicted at least the latter portion of the accident flight. The airplane appeared to be in cruise flight, about 500 feet above the ground. It became laterally unstable, and then descended rapidly to the ground. The audio channel operated intermittently, and recorded the sound of the engine running subsequent to ground impact. The pilot's flight logbook was also recovered from the wreckage. The logbook indicated that the pilot had accrued about 32 hours in Cessna airplanes more than 20 years ago, but then ceased flying until September 2017, during which the pilot logged some time in an Aeronca Champ. A search of FAA records did not reveal any pilot certificates for the pilot. The 1156 automated weather observation at an airport located about 29 miles southeast of the accident site included wind from 160° at 6 knots, visibility 10 miles, few clouds at 6,000 ft, skies, temperature 31° C, dew point 12° C, and an altimeter setting of 30.13 inches of mercury. A pilot was seriously injured in an ultralight crash in Escambia County, AL, Friday. The pilot was identified as Matthew Scott Newton of Pensacola. He was transported by LifeFlight to Sacred Heart Hospital in Pensacola where he was listed in stable condition with a badly injured leg. The crash happened near the end of Howard Page Lane, about a mile from the Robinsonville Baptist Church, and about 4.5 miles from the Alabama/Florida state line. The plane lost power, clipped a tree and power line before crashing into a yard. The aircraft is listed as experimental by the FAA. 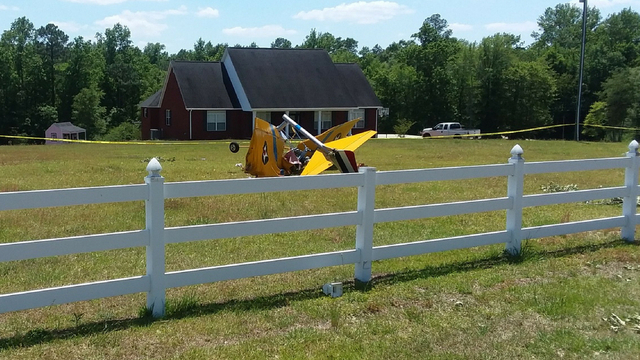 A single-engine aircraft crashed in the front yard of a Darryl Dawe Lane home this afternoon in Robinsonville. The aircraft is a Jose Martinez Firestar 2 fixed wing single engine that’s registered to a Flomaton man, according to the Federal Aviation Administration’s website. Officials from the FAA were on scene gathering information on the crash. However, the National Transportation Safety Board (NTSB) is in charge of the investigation, which is ongoing. The pilot of the aircraft, whose name isn’t available, was airlifted by LifeFlight to Sacred Heart Hospital in Pensacola, Florida. 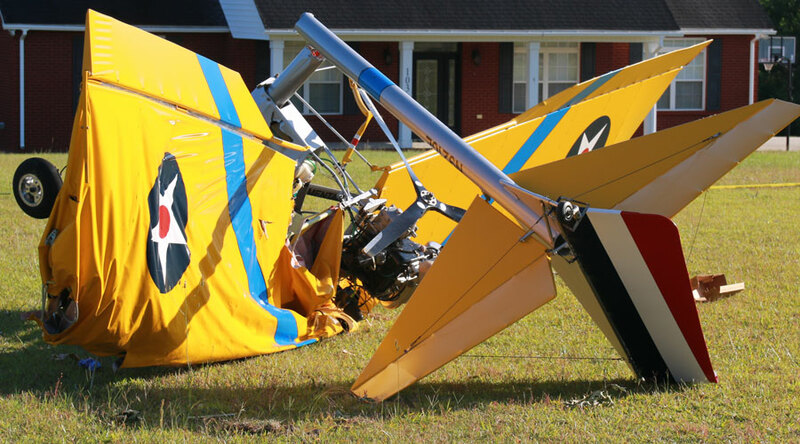 ESCAMBIA COUNTY, Ala. (WKRG) - A pilot has been injured after crashing an ultralight plane into someone's front yard in the Robinsonville community outside of Atmore. The crash happened Friday afternoon in front of a home on Howard Paige Lane. The plane hit a tree and a power line after the engine failed, according to Chief Deputy Mike Lambert of the Escambia County (AL) Sheriff's Office. Chief Deputy Lambert says the pilot, identified as Matthew Scott Nelson, suffered a leg injury. He was taken to Atmore Community Hospital and then flown to Sacred Heart Hospital in Pensacola, where he is now recovering. The plane had a camera attached to it, and the video has been turned over to the FAA and NTSB to investigate the crash.